The Bourbon Women’s next event is “Women of Many Flavors,” to be held 5:30-8 p.m. May 17 at the new Distilled Spirits Epicenter in downtown Louisville. Epicenter founder David Dafoe and Jane Conner, senior Heritage Team manager for Maker’s Mark, will demonstrate how one subtle flavor can make or break a cocktail. Attendees will sample the cocktails and enjoy hors d’oeuvres. Dafoe is the founder of Flavorman, a company that helps clients develop beverages. 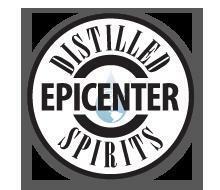 He opened the Distilled Spirits Epicenter at 801 S. Eighth St. in April to teach people about artisan distilling and allow them to create their own unique spirits. The company also has a bottling line for small production runs. The cost of the May event is $30 for Bourbon Women members and $75 for others, which includes a one-year BW membership. For more information or to register, click here.